Fishing for your dinner? It’s an option at a New York City restaurant opening in Chelsea, according to a report. 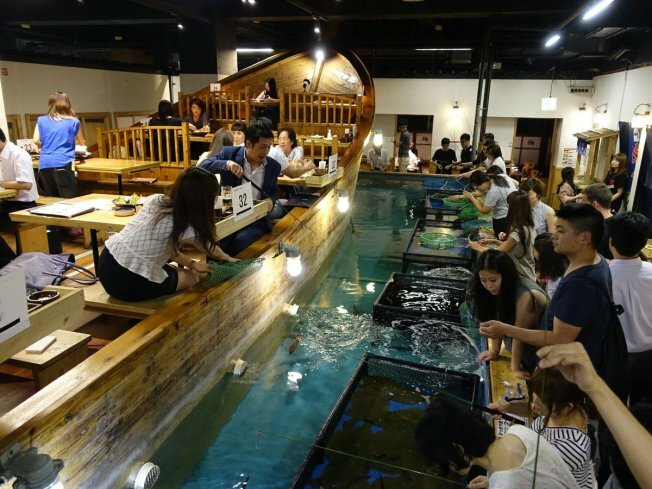 Zauo, a Japanese chain opening in New York, is a three-floor restaurant where people can reel in fish from a tank that is stocked with thousands of fish, Eater NY reports. If a diner is having trouble reeling dinner in, they can ask staff for advice. Once a customer catches a fish, it is given to restaurant staff who then take it to be cooked and served, the report said. The fishing is only open to diners on the first two floors, with the third floor being where food is served with no fishing required. The new eatery doesn’t have a set date to open, but when it does it will be located at 152 W. 24th Street.